The “Beehive style” is an original and different way to tie a tichel. It is stylish, classy, dressy and whatever else you want it to be! 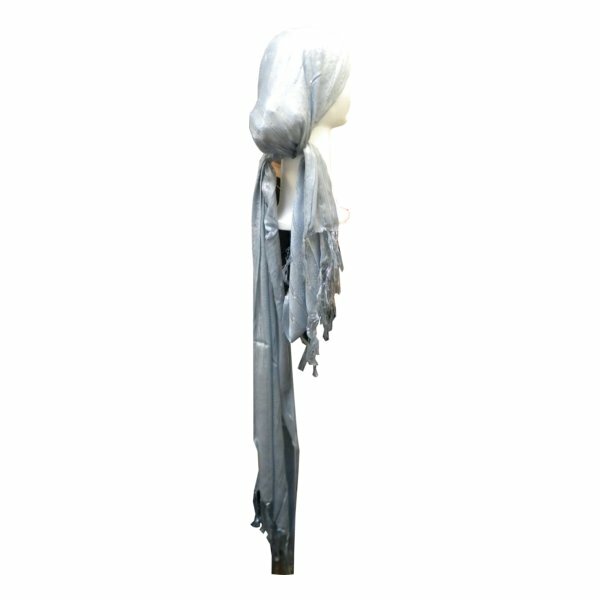 It is lightweight and comfortable which makes it a great style for the spring or summer and brings tying headscarves to a different level. Women with hair loss or thin hair especially like this style due to the added height this style provides. 1. In our demonstration, we put on a hidden height undercover to provide the height necessary. However, it can also be achieved by just putting your hair up in a high pony or bun and cover it with a snood. 2. When tying our headscarf beehive style, we experimented with our Striped Head Scarf with Gold Lurex. 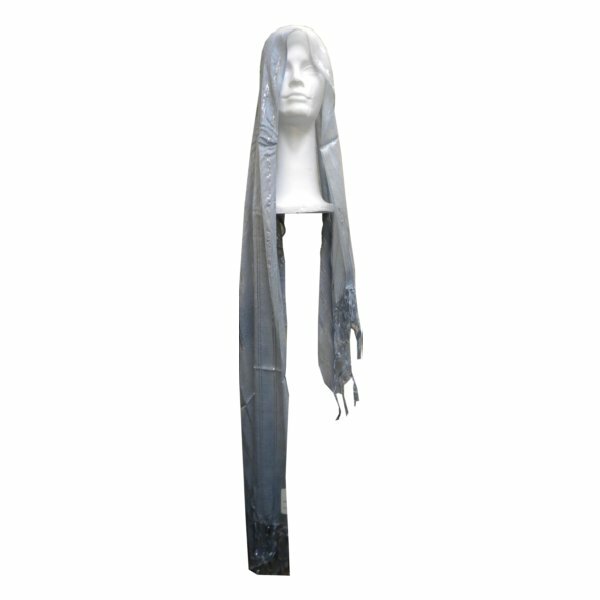 However, you may use any long oblong headscarf. Start by placing your oblong rectangular headscarf centered on your head. Then take both sides of the headscarf and gently make a tie or knot in the back of your head. 3. Now, take the tail hanging on the left side of your head and cross it over to the other side. Don’t forget to cross it in a layered manner to give it the beehive took that you are looking for. 4. Do the same with the other side. By now you will have 2 loose ends on either side so just tuck them in to your snood or hidden height undercover for a neat and put together look and comfort. Good luck tying! Click here for more practical, exciting and easy ways to tie a tichel! In a previous post we gave instructions how to tie an israeli tichel in the basic Bun Style. Now we will show how to tie an Israeli Tichel in a crown style.The crown tie is a beautiful method of tying head scarves in a way that gives height to the head scarf which adds elegance to any occasion.The best tichel to use for this is an oblong (rectangular shaped) tichel because that will give you enough fabric to get up around and over your head for the crown look. Start by folding the tichel under around 2-3 inches on the long edge to form a “band”. This will allow for some movement and adjustmants to the tichel once it is tied onto your head, plus it will lay better if it is a little thicker in that spot. Place the tichel on your head with the “band” side on the bottom (i.e. touching your head), and leave one side hanging longer than the other. The reason for this is to make for easier tying of the tails. Take the two ends and tie them in back under your pony/scrunchie. There should be a little fabric hanging over at the pony so, tuck it under the knot you just made to keep your hair concealed. If there is not enough fabric to cover your hair, make the “band” that we started with thinner. If you have very long hair, or a large head/small tichel, you may have to skip the band step. Now comes the crown part. Twist the two hanging sections to make two long tight twists. 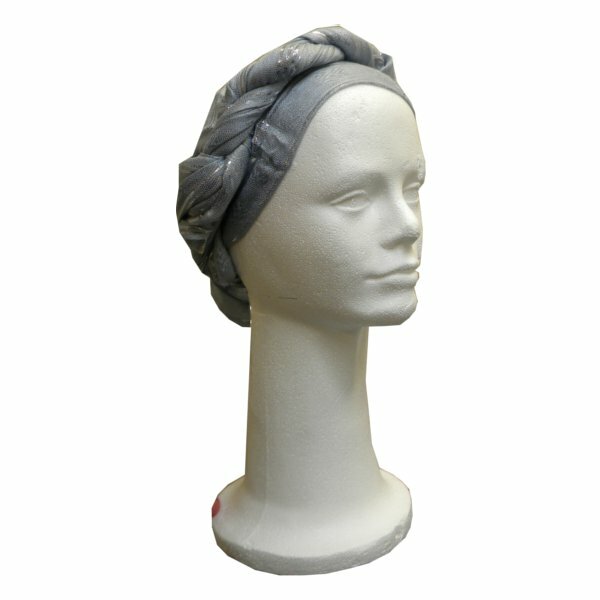 Bring the longer one over and around your head – an inch or two behind the front of the headscarf. Tuck whatever remains under the knot by your pony. T he last and final step is to take the shorter end and twist it around weaving it under an over the first end to create the crown. It may take a few times to get the hang of it, so a good idea is to have a friend help you the first time. 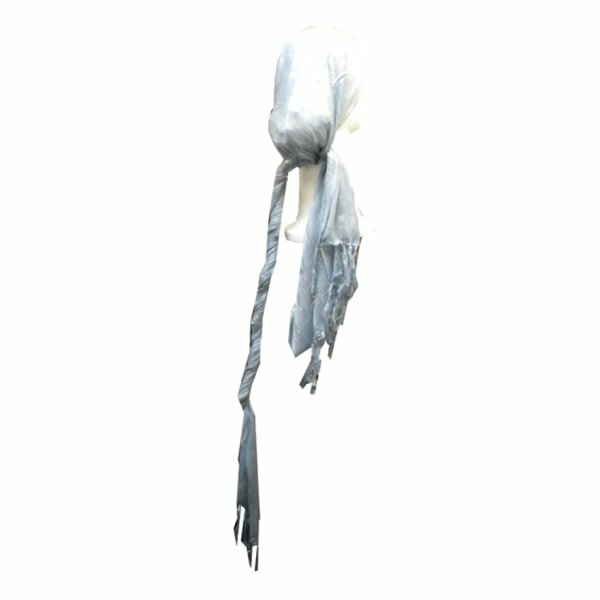 – Use the WiGrip Comfort band under a scarf or tichel for a no slip grip. We highly reccommend this product for new and experienced tichel wearers! – Place the head scarf a little lower on your forhead than you actually want to wear it as it will probably slide back a little during the tying process. – If you have thin hair and want to add the illusion of more fullness in back, tie a scrunchie on your pony to add the fullness. – You can try this with a regular israeli tichel folded into a triangle as well, just bear in mind that the crown won’t have as much height. Easy step by step instructions how to tie a basic israeli tichel bun with accompanying slide show. Start by tying your hair up in a bun with a scrunchee or pony holder. If your hair is thin we reccomend the scrunchee which will add more volume to the bun. For hair loss or short hair see step 4 below for how you can add the bun look. step 2 – place the center of the long straight side at your farhead with the two long tails in front of your shoulders. You can leave the israeli tichel as is for a real basic tiechel look, or you can continue on to the bun stages. step 6 – wrap them around your bun/short pony and tuck the ends underneath themselves.